The Narendra Modi government "systematically and consistently" introduced the much needed second-generation reforms, said Finance Minister Arun Jaitley Monday as he highlighted several "game-changing decisions" taken over the last five years. The senior BJP leader highlighted taxation reforms, measures to curb black money, enactment of Insolvency and Bankruptcy Code, demonetisation, steps to check inflation, promoting cooperative federalism, roll out of Ayushman Bharat scheme, social sector investment and infrastructure development as the government's game-changing decisions. "Five years is not a long period in the life of a nation. It can, however, be a turning point in its direction for progress," he said and added the year 1991 was an important watershed in Indian history. 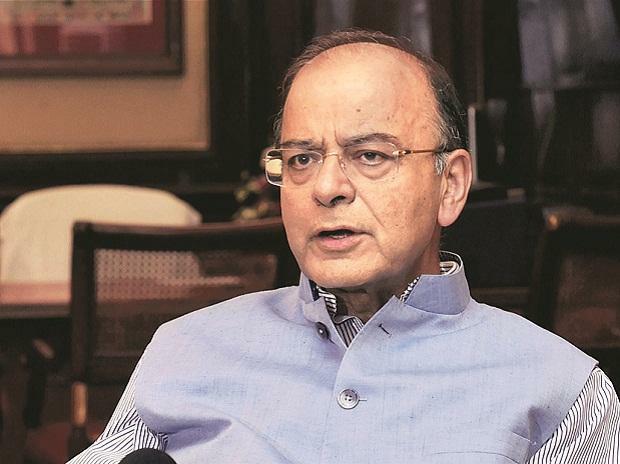 Continuing his 'Agenda 2019' series of blogs, Jaitley said the then Prime Minister P V Narasimha Rao was confronted with an economic crisis. The economic situation compelled reforms. "Many in the Congress party lacked the conviction to support reforms. After the initial two years from 1991-1993, the Congress party became apologetic about the reforms. "That is probably the reason why the efforts to erase the memory of Shri P V Narasimha Rao from Congress Party's contemporary history is still work in progress," he said. Jaitley said Prime Minister Modi's government was elected when India was already a part of the 'Fragile Five' and the world was predicting that India's 'I' will be knocked off from the 'BRICS'. The government had no options and it was committed to reforms. 'Reform or Perish' that was the challenge before the Indian economy. Therefore, the government systematically and consistently introduced several reforms spread over a five year period which will go down in India's economic history as the 'Second Generation' of reforms that were much needed, Jaitley said. "I have outlined above only fourteen game-changing decisions of the government which impacted the economy. The economy expanded at a rate faster than any other country in the world. Our revenues went up and we ensured that the benefit of prosperity and the first right to the exchequer going to the poor is maintained. "It will be our endeavour to maintain this direction in future also," said Jaitley, who is also heading the publicity committee of the BJP for the general elections.